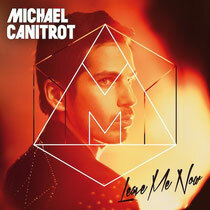 Michaël Canitrot delivers ‘Leave Me Now’ his next single release and the first piece of a new album to be released in 2013. Today sees the release of Michael’s new single, complete with an exclusive video. ‘Leave Me Now’ is aimed to be dropped in the main room at peak time, energized by a distinctive pop-rock vocal and equipped with big emotive drops. Canitrot’s production is evident as the piano melodies and anthemic synths compete with driving drums. On the remix front you will find Brazil's DJ Meme providing a housier vibe, and UK DJ Ryeland giving a forward thinking rerub incorporating more of a dubstep feel. Michael has been influenced by Paris’ prominent fashion scene and has provided the soundtrack for luxury brands including Cartier, Prada, Versace and D&G. On top of this, he is also the official DJ for the International Cannes Festival red carpet event. It’s out now. Michaël Canitrot: "I'm genuinely proud to work with fashion designers in Paris, it is a good opportunity to expand my horizons as an artist and work with some of the most creative people in the world."